WASHINGTON — A group gaining influence in Washington as a champion for Medicare beneficiaries is bankrolled by major health insurance companies that are trying to cash in on private coverage offered through the federal health insurance program. The Better Medicare Alliance claims a far-flung network of seniors, with a Facebook community of more than 380,000 and 110,000 signed up to receive email alerts. Its website displays profiles of “BMA Seniors” who describe private Medicare plans in glowing terms. The Associated Press found that one of the featured seniors, David Kievit, died in March at age 91. The multimillion-dollar budget for the alliance isn’t supplied by seniors, but by UnitedHealthcare, Aetna and Humana, according to the group’s president and its federal tax returns. The three insurance giants together account for close to 50 percent of all enrollees in private “Medicare Advantage” plans and stand to benefit as that part of Medicare keeps growing. The organization’s website and Facebook page don’t say where its money comes from, making it easy to miss the industry tie. Since its establishment in December 2014, the alliance has built its profile. It lobbies Congress and the administration and sponsors research. It has reported spending $370,000 so far this year on lobbying Congress primarily, according to disclosure records. Among other issues, the alliance is seeking the repeal of a tax on health insurers imposed by the Obama-era health care law. 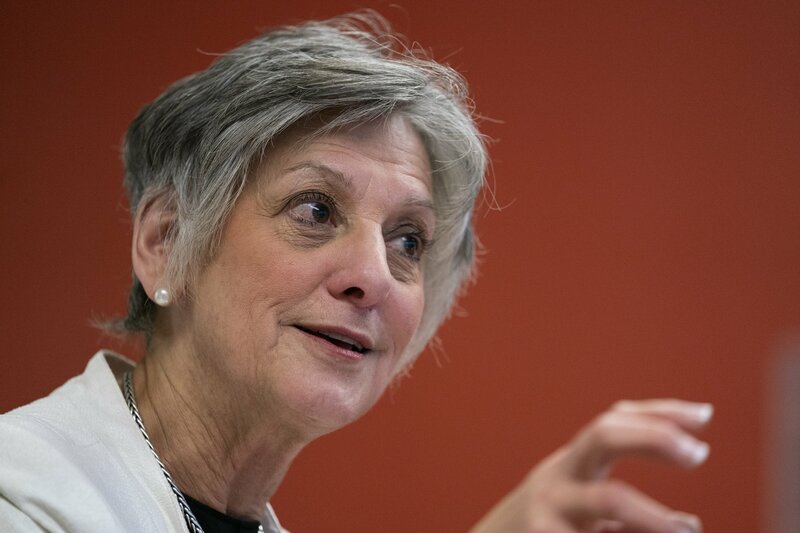 President and CEO Allyson Schwartz enjoys credibility among Democrats, having helped pass the Affordable Care Act as a Democratic congresswoman from Pennsylvania. And Republicans have long been fans of private Medicare plans, giving the alliance a foothold in both political parties. David Lipschutz, a senior policy attorney for the Center for Medicare Advocacy, a nonprofit legal organization that represents Medicare beneficiaries, called the Better Medicare Alliance an “Astroturf group.” The term refers to an organization that casts itself as a grassroots movement to mask their corporate interests. “They represent themselves as representing Medicare beneficiaries, but they really represent the interests of the insurance industry,” Lipschutz said. Schwartz rejects any suggestion that the organization is a front for the insurance industry. She said during an interview with the AP that the alliance’s funding sources “are well known,” even though the names and addresses of donors were blacked out of copies of the alliance’s tax returns that it provided to AP. Federal rules permit nonprofits like the Better Medicare Alliance to shield the identities of donors. Critics say that’s problematic because the public has no way of knowing whether the anonymous donors have a specific interest in a matter before the administration, Congress or the courts. The alliance has received $19.9 million in donations over the last three years, accounting for 99.9 percent of its total revenue during that period, according to the organization’s tax returns for 2015 through 2017. Schwartz said when asked that the money came from UnitedHealthcare, Aetna and Humana. She said BMA has 125 “allies” that include the insurance companies, local agencies that serve seniors, patient advocacy groups, and nurse and doctor associations that all back Medicare Advantage. They include the American Medical Group Association and Meals on Wheels America. “Our job is to find the common ground,” Schwartz said. Medicare Advantage is a growing business for insurers. About 22 million Medicare beneficiaries, or close to 2 in 5, are expected to be covered by a Medicare Advantage plan next year. The private plans promise coordinated care and generally offer lower out-of-pocket costs. They limit choice of doctors and hospitals and employ other restrictions such as prior authorization for services. UnitedHealthcare has 25 percent of the Medicare Advantage enrollees, Humana has 17 percent and Aetna has 8 percent, according to an analysis of government data by the nonpartisan Kaiser Family Foundation. Schwartz earned just over $600,000 last year in base salary, bonus pay and other compensation, an increase of $52,000 from 2016. The alliance’s board of directors determined her salary following a compensation survey of comparable nonprofits, according to the tax returns, but she makes more than the top executives who run other Medicare-related organizations. Max Richtman, president of the National Committee to Preserve Social Security and Medicare, earned $391,185 in 2017, according to the organization’s latest tax return. The group advocates against cuts to retirement security programs. James Firman, president of the National Council on the Aging, was paid $343,558, according to the organization’s tax return that covers the year between July 1, 2016 and June 30, 2017, the latest available. The council is a decades-old advocacy group. Among the senior profiles on the Better Medicare Alliance’s website is one of Kievet, a World War II veteran who died in March. There’s a photo of him wearing his veteran’s cap, along with a brief first-person article. His family was startled to see his photo there, said his son, John Kievit, who lives near Houston. “I’d like to see the article updated, at least,” he said.